Virgos are very loyal and will try to avoid ending a long-term affair or marriage wherever possible – they also hate giving up and admitting defeat. Some Virgoans may keep trying repeatedly to make an unsuitable affair work rather than being pragmatic and cutting their losses. In spite of Virgo being a cardinal sign Virgos can have a tendency to remain stuck in a rut unless circumstances force them to change. However, when Virgoans change forced upon them, they adapt very well. 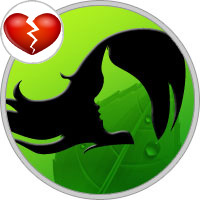 However, it is usually rare for a Virgo to linger in a failing marriage. If sensible discussion does not resolve the issues or if Virgo’s sense of fair play is affronted a clean and final break will made. This Sign does not usually go for reconciliation and is virtually impossible to manipulate into starting again. If there are children involved, however, dutiful Virgo will usually see to it that they properly educated and that their material needs are met. When Mr. Virgo believes he is no longer needed or useful, he will go. If you’ve been with him awhile, you have probably grown accustomed to relying on him: to pick up milk (real for you, soy for him) on his way home from work, and to give you the foot massage that makes everything seem right with the world. Once you decline his offers of assistance, he will exhibit signs of depression, and from that point on it’s just a matter of time. He may leave dump you first. Quietly and without making a big fuss. He may be relieved to go back to his lonely but somehow comforting bachelor life. Of course some will not go without a fight. He may be the type that needs your help more than he will ever admit. If that’s the case, be kind, for God’s sake. Help him to find his way in the world without you. Help him to find a new routine. Be a friend to him. And then, once he is on his way, disappear, lie low for a while, and change your phone number, because he is the stalker type. Have no sense of order - The Virgo man is all about keeping everything in line, so if you are a mess he will tend to react very critically. You are dirty - He likes to keep things clean, including your mouth. If you curse like a sailor he will find you distasteful. Keep your shirts pressed, and your mouth washed out with soap. Make him feel like he is not needed - This man’s sole existence is to feel needed by someone. If you make him feel like you have it all on your own he may not feel like he has no role in your life. Even if it’s asking him to open a jar that you are perfectly capable of opening yourself; just ask him. You take too much time apart from him - Once this bachelor of the zodiac really commits, he won’t want long periods of time without you. Many Virgos are even known to work with their mates. Be wasteful - This man does not like to waste food, money, air, anything. If you are a wasteful person, he will be displeased. Take him for granted - If you complain about everything, he will start to feel defeated. He tends to be very hard on himself so he will need to hear how amazing and wonderful he is from you. Boss him around too much - This guys has his stuff together 99.9% of the time, and doesn’t need someone telling him what to do. He wants a stable and supportive partner. Criticize him constantly - This man is quite critical in general, and he is also his own biggest critic. This means he doesn’t need you to be hard on him as well. Be positive, and boost him up; it will go a very long way. You have too many bad habits - This man is quite particular on just about everything in his life. He will be forgiving of a few quirks here and there, but if you are hot mess it will be too much for him to handle. You do not seem like you will be faithful - Once this man has chosen you as his Cinderella, he will want true loyalty. Virgos only have one true love of their life so don’t screw it up by screwing around.